Juhl entered Strafleet Academy at the age of eighteen. After graduating from the Academy in 2359 he was assigned to the USS Hood. 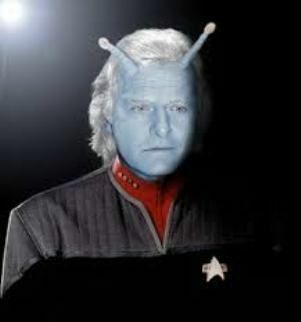 During his tenure on the USS Hood Juhl was called home to Andor to fulfill his duties as an Andorian and start a family. Juhl is the "father" of three children. When the Assistant Security Chief position came available on the Repulse Juhl lept at the opportunity. About a year and a half arriving on the Repulse he was promoted to be the Security Chief of the Tanzania. He rose thru the ranks on the Tanzania eventually becoming First Officer in 2372. After serving as the First Officer for almost seven years the Captain's chair was pulled out for Juhl who assumed command of the USS Odyssey as part of Project Full Circle.